Certain vehicle manufacturers offer rebates for vehicles. Ability Center connects you with participating vehicle manufacturers. Chrysler Automobility – Conversions of Chrysler, Jeep, Dodge, Ram or Fiat vehicles quality for maximum reimbursement of $1,000. Ford Mobility – Customers are eligible for up to $1,000 through the Ford Mobility Motoring Program reimbursement program. GM Mobility – New-vehicle purchasers/lessees who install eligible adaptive mobility equipment on their new Chevrolet, Buick, or GMC vehicle can receive up to a $1,000 reimbursement. Honda Mobility – Honda will provide a reimbursement of up to $1,000 to each eligible, original retail customer for expenses incurred to purchase and install qualifying adaptive equipment on any eligible purchased or leased Honda vehicle. Hyundai Mobility – Get up to $1,000 towards the cost of installing adaptive equipment in your new Hyundai. Lexus Mobility – Provides new or wheelchair-accessible converted Lexus retail vehicle buyers with a cash reimbursement of up to $1,000 to help offset expenses for adaptive equipment. Subaru Mobility – The Subaru Mobile-It-Ease™ Program* provides reimbursement of up to $1,000 on new Subaru vehicles from authorized Subaru retailers in the United States to help qualifying owners get necessary vehicle modification due to medically recognized physical disabilities. 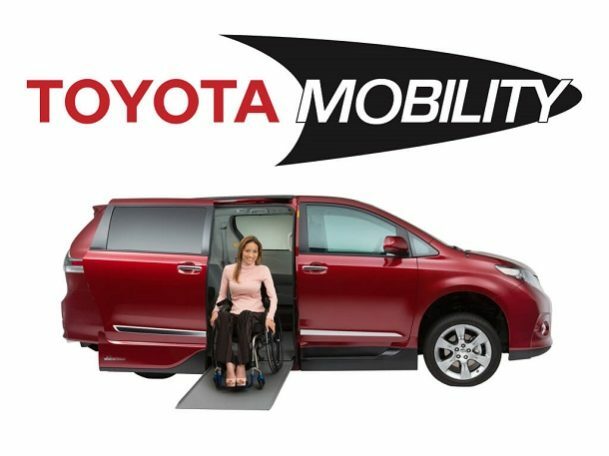 Toyota Mobility – Toyota Motor Sales, UAS Inc. provides reimbursement up to $1,000 to each eligible, original retail customer for the exact cost they paid to purchase and install qualifying adaptive driving or passenger equipment. Volkswagen Mobility Program – Volkswagen will provide up to $1,000 towards the purchase and installation of lift equipment, carriers, hand controls, pedal extensions or other assistance equipment on any eligible model.